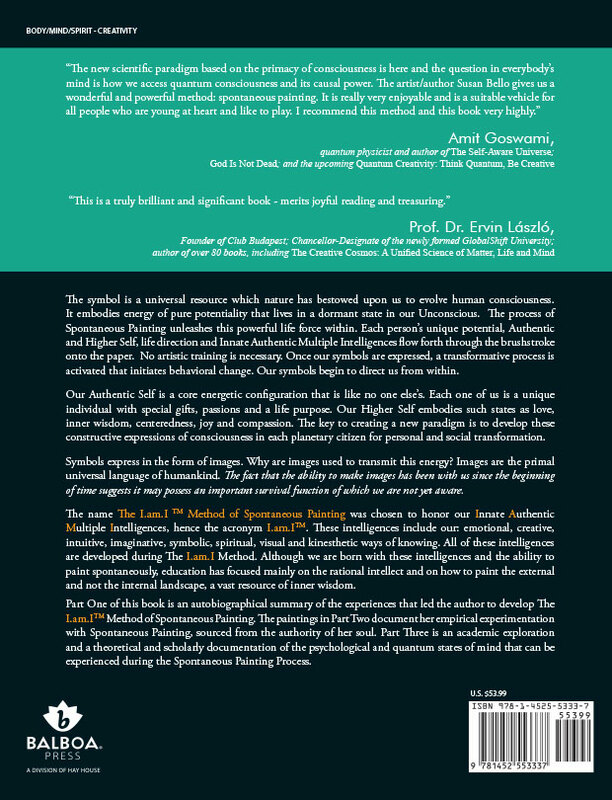 This groundbreaking book presents a new perspective on art and the power of symbols to evolve our innate potential and consciousness. 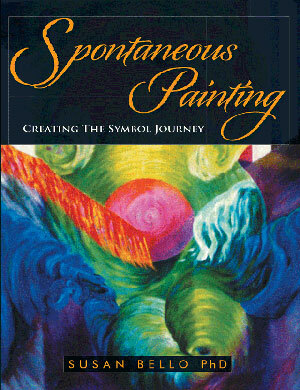 Spontaneous Painting is a 21st century method that everyone can do to create the culture of peace inside out. We recognize art as a healing agent for personal and social transformation. No prior artistic experience is needed in order to benefit from this method. The I.am.I™ Spontaneous Painting Method is a process that can be applied to people of all ages and cultures in education, business, mental health, prisons, hospitals, and elderly care. In a world culture that increasingly prioritizes intellectual knowledge for the job market, society needs to rethink priorities and seek a balance that also values and includes educating the Innate Authentic Multiple Intelligences, I.am.I™ - our emotional, creative, spiritual, symbolic, intuitive, imaginative, visual and kinesthetic original ways of knowing. Creative self-expression is a natural human gift we ALL can develop if given the opportunity. Whole Brain Learning programs, such as Spontaneous Painting, provide people - from the advantaged to the homeless, and populations with or without special needs - with effective tools to develop their innate Authentic Self. When large numbers of people actualize their authentic Self, they align with their unique potentials, life direction, and develop their I.am.I. Together, as each individual emboldens their inner greatness, we form a critical mass and, there will be an evolutionary breakthrough in human consciousness. 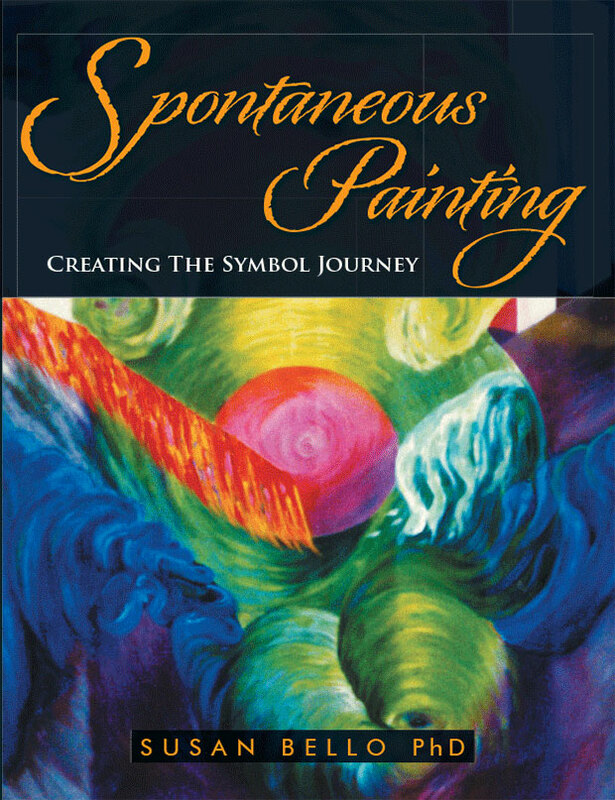 To offer workshops and lectures in The I.am.I™ Spontaneous Painting Method, teach the method in educational and mental health programs, train facilitators in The I.am.I™ Spontaneous Painting Method, and research the effects of symbols on individual and public awareness. The Organization for the Arts & Whole Brain Learning, Inc. is a 501(c) (3) non-profit organization.